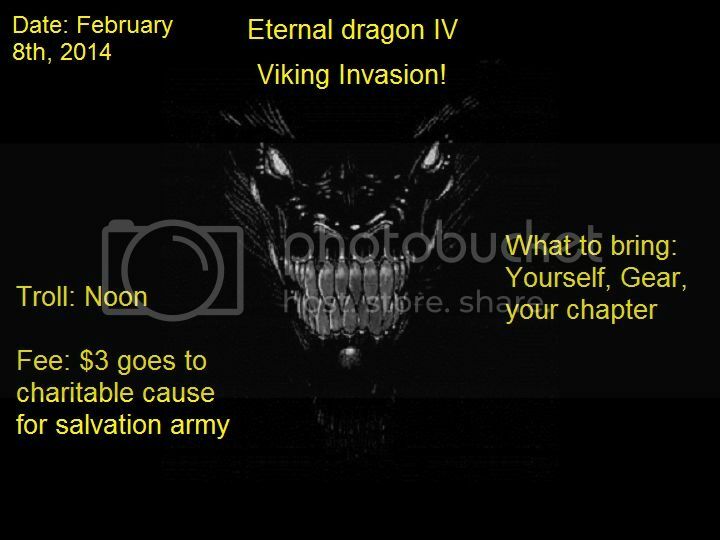 Eternal Dragon IV: Viking Invasion! Come join us in celebrating the young lords birthday. Help us defend our home and secure our trade relations with all of the other realms against the Vikings that are invading from the north. There is a turn right near it that says Recreation Center. Sorry,I have to chaperone a dance with my wife that night.She reminded me when I was talking about events in Feb. Totally understandable WereBear, we will meet on the field at some point. The Rhovanian opener is in March,or we will see you at Olympics.We also are going to Rag this year.